The Star Wars stand-alone films are in the works! The most recent addition to the Star Wars crew is Josh Trank, who is currently working on The Fantastic Four for 20th Century Fox and has been hired to direct one of the Star Wars spin off films. 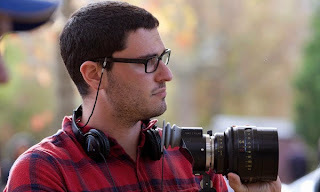 Trank directed the 2012 film Chronicle, and directed a short TV series in 2007 called The Kill Point. "He is such an incredible talent and has a great imagination and sense of innovation," said Lucasfilm president Kathleen Kennedy. "That makes him perfectly suited to Star Wars, and for this new slate of movies that reach beyond the core characters and storylines of Episodes I through IX." Trank himself is a Star Wars fan, and is excited to be on board: "The magic of the Star Wars Universe defined my entire childhood," says the director. "The opportunity to expand on that experience for future generations is the most incredible dream of all time."